sleeps up to 5, (2 doubles & 1 single). 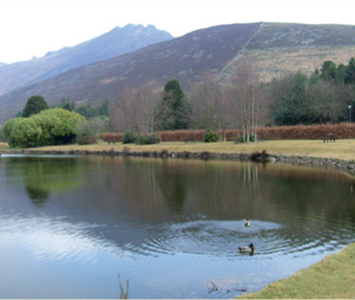 Crockanroe House has been part of the Mourne landscape for over 100 years. It has undergone a number of changes and additions through the years starting as a 1 bedroom farm dwelling and of today a sturdy 2 storey home. As you enter the house you will soon notice the different stages with the ground floor built from thick locally sourced granite stone, whereas the 1st floor - and rear extension - is of more modern cavity block construction. 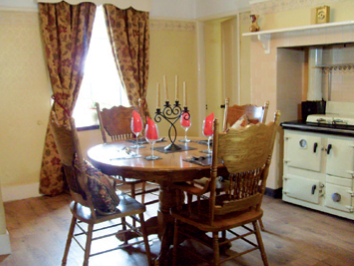 Naturally the house reflects it age in places - but adds to its character - however you can be assued it is equiped with all modern amenties including a great heating and hot water system to ensure you have a comfortable stay. Here you can experience authentic Ireland and of course the Mourne region in particular. 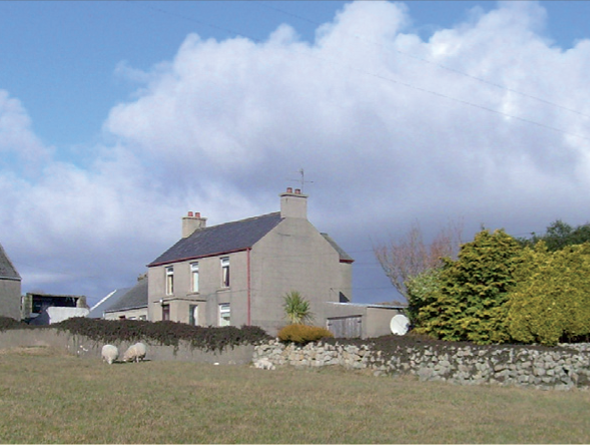 Crockanroe House is not part of a tourist complex but stands alone in the midst of the local countryside. Whether your stay is for a few days, a week or however long you have to visit,we want you to feel part of our community. From the house gaze up at the towering peak of Slieve Bignian barely half a mile away; turn to the east and south and cast your eye across the gently sloping landscape towards the Irish Sea. Take in the patchwork of fields divided by stone 'ditches' (dry stone walls) - and this is just a taste of this area of breath taking beauty. We extend a warm welcome to you and hope to see you soon.